It might be a good thing that I’m writing this in the afternoon because a lot of morning coffee drinkers are going to be displeased by this! Coffee might be your morning lifeline, but it’s not very good for you at all. I think most people can agree that a nice cup of Joe in the morning is just enough to get you going. It gives a little energy boost, a yummy taste, and just gets us ready for our day! Many people might believe a natural cup of coffee is good for you, but this is largely a myth. Many people also believe that coffee has a role in treating and preventing Parkinson’s Disease and even breast cancer. Coffee is a potent collection of biological compounds, and like any food like substance, it has effects on the body that need to be respected as potent drug effects. There has been much deception when it comes to the truth about coffee. Coffee is a relative drug that affects your body in many different ways. 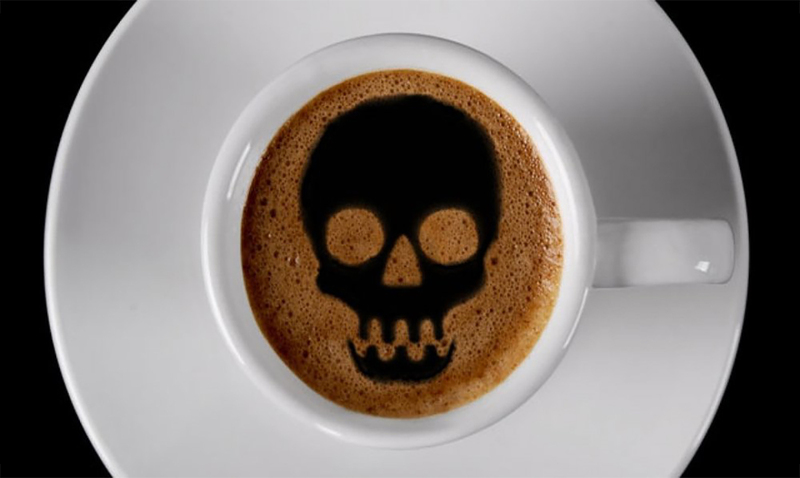 There are many instances where coffee can be bad for you! You probably never knew these 14 dirty kept secrets about coffee. Coffee Increases Stress – The caffeine in coffee increases catecholamines, also known as stress hormones. It elicits cortisol and increases insulin, making you feel rather crappy. Regularly Drinking Coffee Decreases Insulin Sensitivity – When We regularly consume coffee, the caffeine decreases your insulin sensitivity and makes it difficult for your cells to respond appropriately to blood sugar levels. Unfiltered Coffee Leaks Diterpenes In Your System – While unfiltered coffee has a high antioxidant level, it also leaks the most diterpenes into your system. These diterpenes have been linked to higher levels of triglycerides, LDL, and VLDL. The Chlorogenic Acid Delays Glucose Absorption – That has been found to increase homocysteine levels, an indicator of cardiovascular disease. It’s Addictive – The High amount of caffeine in coffee is extremely addictive. It can make it difficult to rely on the body’s natural source of energy, causing excessive fatigue. It Inspires a Sugar Addicted Culture – Coffee drinks these days have gone to extremes when it comes to sugars, creams, and different flavors and additives to make it taste good. This has caused people to become obsessed with the sugary coffee drinks, which are barely even coffee by the time they’re made. It Raises Risks for Low Serotonin Levels – Coffee contains a component of the neurotransmitter serotonin, causing lower levels of serotonin synthesis in the brain. It Elevates Urinary Excretion of Important Minerals – Coffee increases your excretion of healthy minerals like calcium and magnesium. It also causes an imbalance in your electrolyte levels, leading to more serious complications. It Interferes With Liver Detoxification – Coffee makes it difficult to regulate the normal detoxification process in the liver. Coffee Causes Fat Gain – Coffee has been found to increase weight gain and form cellulite by triggering your body’s flight or fight system. This changes the body’s primary fuel source requirement to one of fat. It Blocks Iron – Coffee blocks Iron absorption, resulting in anemia. It Increases Risk of Forming Breast Tissue Cysts in Women – One study showed that “Women who consumed 31–250 mg of caffeine/day had a 1.5-fold increase in the odds of developing fibrocystic breast disease and women who drank over 500 mg/day had a 2.3-fold increase in the odds of developing cysts. It Causes Insomnia – Because of the excessive caffeine in coffee, it has been shown to cause significant insomnia. If you have trouble falling asleep at night, try laying off the coffee for a while. It might help! It Can Cause Incontinence – A study out of the University of Alabama showed that women who consume a lot of caffeine are 70% more likely to develop incontinence.